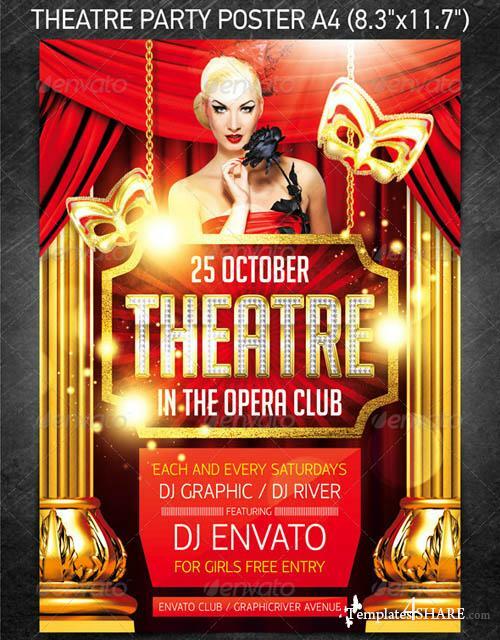 "Theatre party poster" for a mainstream music event or any other night club event. Files are structured in folders for easy editing. Change text, edit colors, move items, turn/off layers creating tons off different looks. All text styles are included. The above images used (except the people) all included in the download.